At Last! An Original album for Fathers! Everyone in the family will Love it. I have listened to it and it is beautiful. I know you are going to love it. One to have around home. Is waiting in his own backyard!" 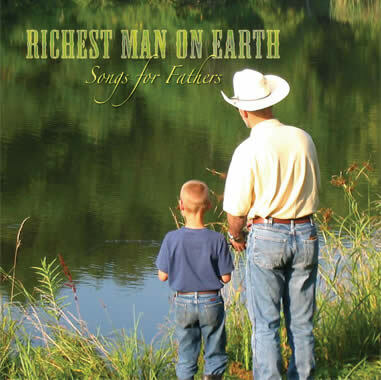 Order your MP3 copies of "Richest Man On Earth" for your dad, husband, or friend today. Click the button below to add the RICHEST MAN ON EARTH, Songs for Fathers - Downloadable MP3 Format to your wish list.